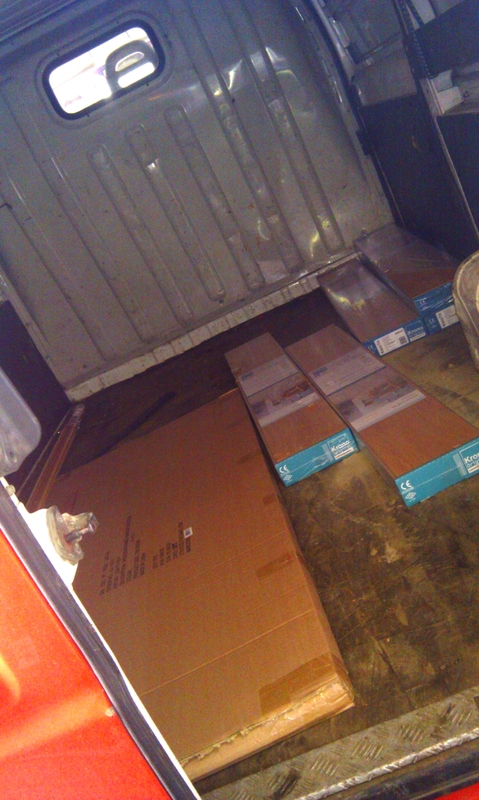 To most of you, this crappy picture of the back of a van means absolutely nothing, to me it means we finally got the new flooring and splines for the hallway. The best part? It’s already installed, which means our entire hallway is done-done-done! The huge cardboard box to the left is a new mirror which we already hung up last night. Everything is starting to look great! Anyone wanna see before and after pictures? Don’t worry, we haven’t dropped off the face of the Earth, but we do have a lot going on. We’re almost done renovating and finding a place for all of our stuff, but at this very moment, a builder is at our place renovating the hallway (it was seriously hideous: huge dark brown built-in closets, disgusting linoleum flooring, crooked walls and ceilings with crackled water damaged paint). You can’t imagine the immense amount of rubbish that comes from tearing down old furniture and the crap it contains, not to mention how much time it all takes. We went and had a peek yesterday and the transformation is already unbelievable. Yes, we took before-pics and will definitely show you the turnout as well. We’ve also been getting a lot of new furniture and home decor (some of it from Helsinki) so we’ve really had our hands full. 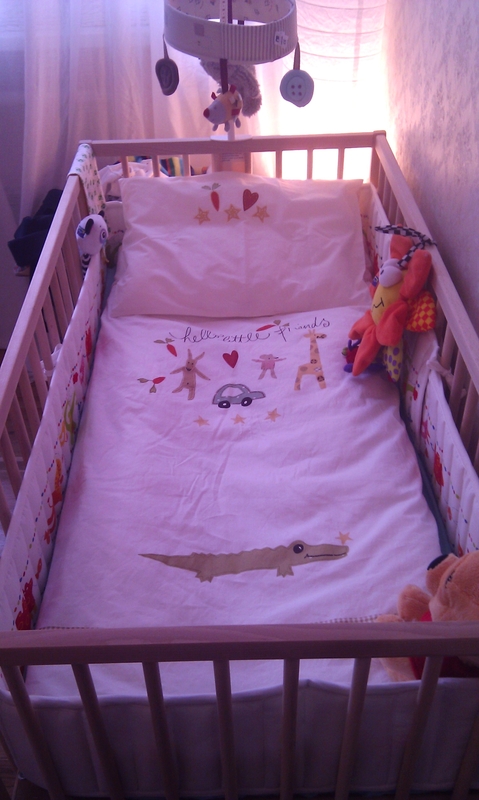 Hopefully we’ll be completely done renovating by next week, we’re doing the little bug’s room as well. She’ll have sky blue walls with clouds painted on them and hopefully one entire blackboard paint wall 🙂 Who wouldn’t enjoy drawing on walls, right? We’re done with the princess’ swimming lessons now and are about to start going swimming without the “trainer”. She’s grown so much, we went for her monthly check up today (she turned three months yesterday, happy birthday to us!) 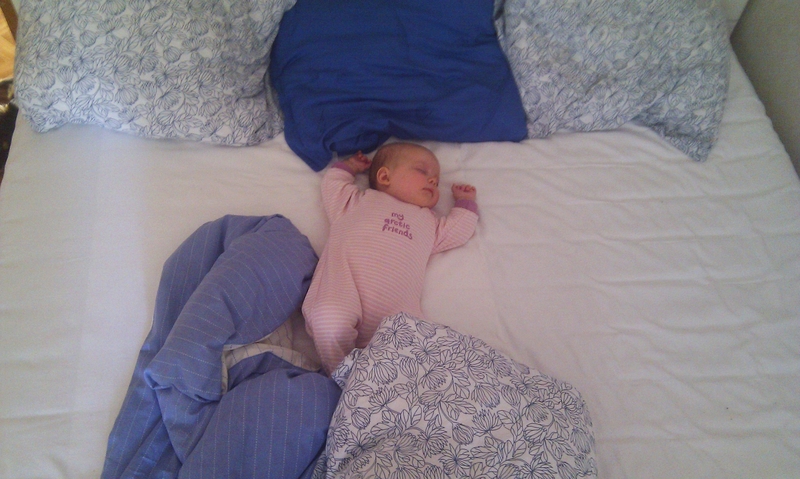 and she is now 61 cm tall and weighs 6590g , which means she’s grown 14 cm and gained 4005g in three months. She’s still her calm and cheerful self, she sleeps all through the night (one tiny snack break early in the morning, then she continues to sleep until 10 a.m., sometimes longer), flirts with and smiles at everyone she sees and enjoys the privacy of her crib (where she has her baby mobile, her toys and her colorful bed linen). She’s now also capable of putting her hand to her mouth and sucking on it without first hitting herself in the eye a couple of times. Yay for learning! All in all it’s a wonderful life full of amazing adventures and if turning on the laptop wouldn’t seem so time consuming, I’d definitely be blogging more.